Sinclair Research Ltd is the company that designed and manufactured the classic ZX Spectrum range of computers, their best known and loved product. Originally established by Sir Clive Sinclair in 1973, the second company set up by Clive after Sinclair Radionics. The company changed names several times beyond its inception in 1973. It was originally incorporated as Westminster Mail Order Ltd, then renamed Sinclair Instrument Ltd, Science of Cambridge Ltd, Sinclair Computers Ltd, before finally in 1975 settling on Sinclair Research Ltd.
1980 saw Sir Clive develop his first consumer home computer product, the ZX80. 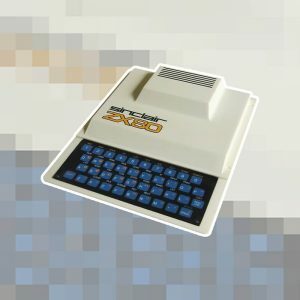 The aim of the ZX80 – to become the most affordable home computer available in the UK. 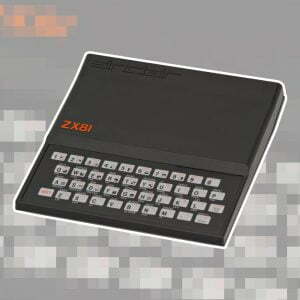 Available in both kit form and ready built, the ZX80 was aimed at tech enthusiasts and the home user. Soon after the ZX80 came the ZX81, released in 1981. 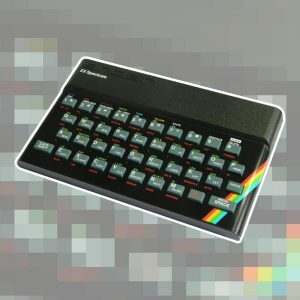 Available as a kit or prebuilt, it undercut the ZX80s price and was available for £49.95 in kit form, or £69.95 prebuilt. The ZX81 sold over 1.5 million units, outperforming sales of the ZX80 by around 15 times. It is the machine that is credited in making Sinclair a household name, especially in the UK. Not one to move slowly, Sir Clive followed the ZX81 with the ZX Spectrum in 1982. 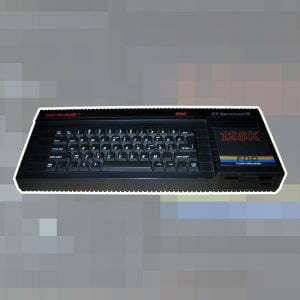 Most fondly remembered for its rubber keyboard, the ZX Spectrum is a legend of 8-Bit home computing. Originally shipping 16k versions for £128 and 48k for £175. Quite the price jump from the ZX81, but with the appetite for home computers now firmly established, Sir Clive positioned the company to work on gaining some return on their investment. The ZX Spectrum evolved over the coming years and established itself as the UK’s number one choice of home computer. 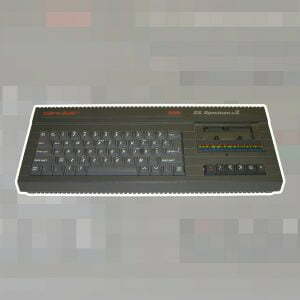 Beyond the ZX Spectrum, the QL launched in 1984, an attempt at cracking the business market which ultimately failed. 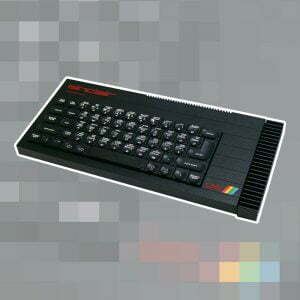 Sir Clive eventually sold the rights to produce the ZX Spectrum to Sir Alan Sugar’s company, Amstrad. Amstrad then produced the Spectrum +2 and +3 models which included integrated tape and disk drives into a tidy single unit, much like its own Amstrad CPC. Beyond this, Sir Clive still works to this day on innovations and ideas but no longer operates in the home computer market.